ThoughtForm takes 2nd place at AIGA Pittsburgh GUTS - ThoughtForm, Inc. 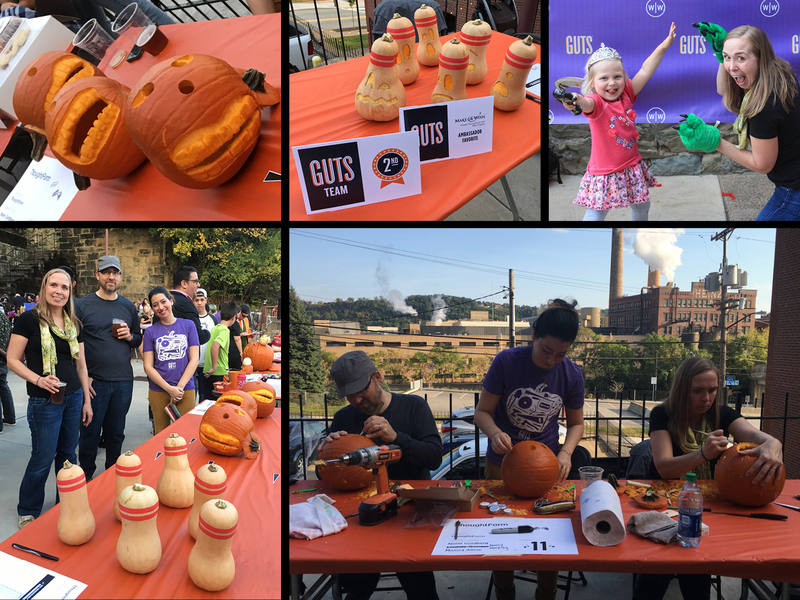 GUTS is a friendly pumpkin carving competition hosted by AIGA Pittsburgh. The primary goal of this event is to unify the creative community in support of the kids who fight the real fight everyday at Make-A-Wish® Greater Pennsylvania and West Virginia. This year, the ThoughtForm team took second place, as well as the Make-A-Wish Ambassador pick.